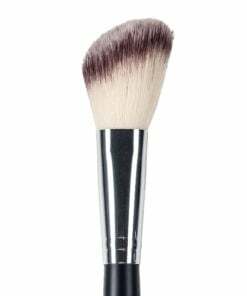 The angled blush brush is characterized by being thick and firm yet fluffy. Making it the perfect brush for blending easily but also being exact in where you apply. This brush is made with synthetic bristles which means it’s vegan and cruelty-free. Having synthetic bristles means that when you wash it and the fibers expand then contract as they dry – they won’t fall out. This brush should never have to be replaced. Swirl, pat or dip your blush brush into the blush pan. 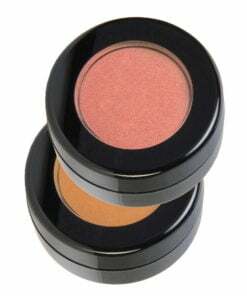 Tap the brush on a counter or hard surface vertically to allow the powder blush to pack down into your brush. Start by patting the brush against the apple of your cheek and continue to pat all the way to your temple. Then taking your brush and moving it against your cheek in an oval motion starting from the apple of your cheek to your temple you’re going to blend the color on your cheek. Great quality and very soft. Holds the produce nicely. Makes application very easy. Tapping is a must. Read the step by step application; very helpful. This is so soft it almost freaks me out! I’m used to harder brushes, and it’s strange to use one this dainty-feeling. It seems to distribute my blush well. I use the tap method shown in the video and feel extra fancy with every application. Excellent blush brush. Soft, nothing scratchy. 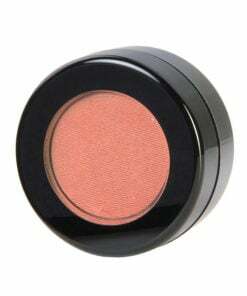 Holds a good amount of powder blush which is easily applied via the angle of the bristles. 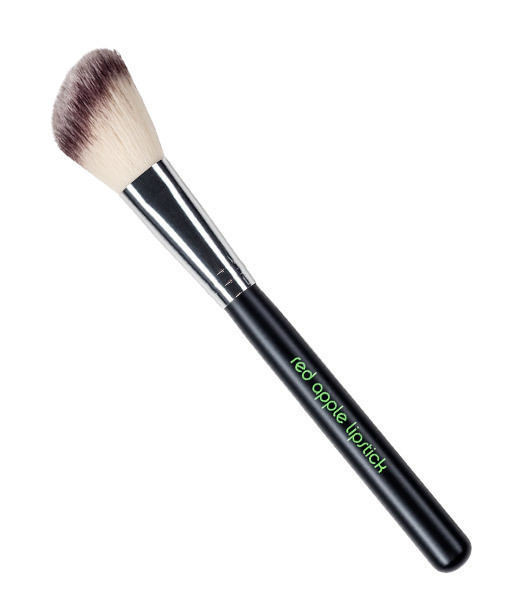 This brush is perfect to use with the blush. It holds the product well. The angle helps get the blush where it should be. 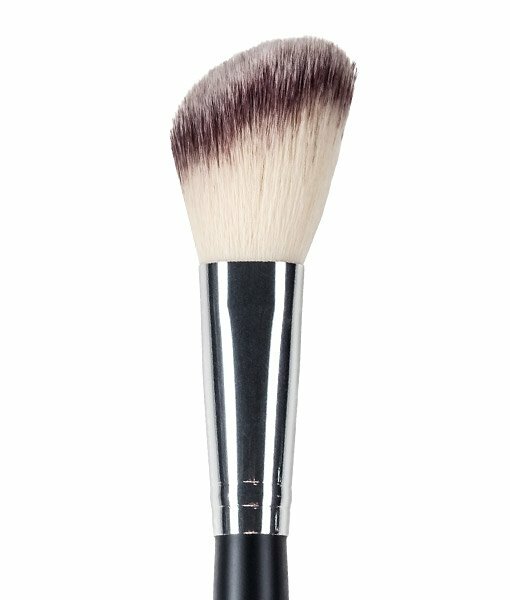 I also use the blush brush with the bronzer and works wonderful for that too.!!! The brush works well and the best part is the bristles don’t fall out and get all over your face. Easy to clean too! The tapering works well to get the color angled on the cheek bones.